Last year, the Collins Dictionary named “fake news” as the word of the year. The phrase famously gained prominence with the election of US President Donald Trump. He used the term as a way to delegitimise unfavourable news coverage, and to create an alternative narrative about himself and his new administration. Of course, “fake news” is hardly a recent creation. In a January 2017 Financial Times piece headlined “A lesson in fake news from the info-wars of ancient Rome”, Izabella Kaminska described a “fake news” episode during the Roman civil war between two protagonists, Mark Antony and Octavian. After Julius Caesar was killed on the Ides of March, “what followed was an unprecedented disinformation war in which the combatants deployed poetry and rhetoric to assert the righteousness of the respective campaigns. From the onset, Octavian proved the shrewder propagandist, using short, sharp slogans written upon coins in the style of archaic tweets”, Kaminska says. In the end, Octavian won the war, reinvented himself as Augustus, and became emperor of Rome. Our modern-day Octavian now occupies the White House as “leader of the free world”. Like Octavian, he is redefining reality according to his world view, using social media, and reaching millions across the world in an instant. This is of course fake news. There is no land that is being seized from white farmers and the large-scale killing of farmers is pure fiction. The reality is that South Africa is having a spirited discussion about land reform and, if anything, the “large-scale killing” in this country would primarily apply to poor black people, who remain the principal victims of South Africa’s violent crime, as testified by recent crime statistics. But Trump’s source of this disinformation appears to have been the media itself. 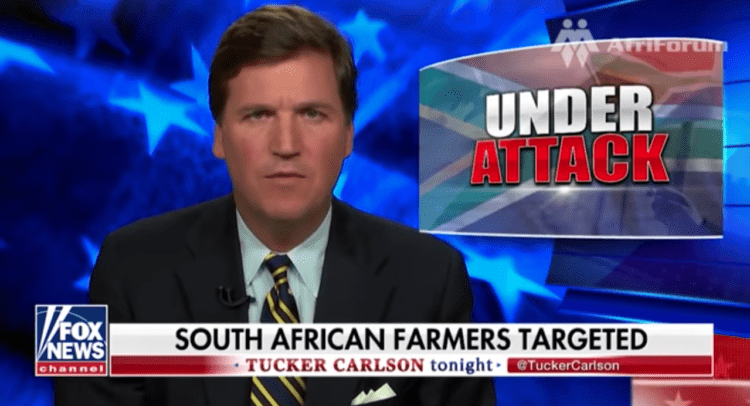 He sent the alarming tweet after watching Fox News Channel’s Tucker Carlson interview with Marian Tupy from the conservative Cato Institute, in which both men were expressing concern about “land seizures” and “farm murders” in South Africa. It is worth noting that this narrative only gained ground in the US as a result of intensive international lobbying by the right-wing AfriForum, who seemed quite pleased that their campaign had reached the ear of the US president. Which begs the question: How does the media avoid becoming a disseminator of fake news, especially in these times of a perpetual news cycle? Earlier this year, I attended an intensive 10-day training course at Temple University in Philadelphia, hosted by the Dow Jones News Fund and run by Dr Edward Trayes, who is an institution when it comes to what makes for good journalism. Dr Trayes taught us that the war on fake news can only be won through sticking to old-style journalism. This means journalists must maintain a critical and questioning stance, should always question what they’re told or what they hear, and should relentlessly check the facts. In “Trump Versus the Media: How to Cover a Hostile President”, former editor of the Mail & Guardian Nic Dawes advises the US media to shun stenography and ask more pointed questions. “The press should champion a politics of independence, accountability, ethical standards, and legal rights; this is the basis on which it can fight to defend its role in a democratic society and to fulfill its duty to the people,” Dawes writes. Writers, editors and proofreaders who become conscientious fact checkers will improve their work, and help prevent the publication of incorrect statements that could at the minimum damage credibility, and more seriously damage reputations or invite prosecution. The rush to publish, to “be the first”, and to ensure a high number of page views adds to the strain on contemporary journalism. South African newsrooms need to work towards higher standards in editing, proofreading and fact-checking to reduce the dissemination of fake news, improve their own credibility, shy away from jeopardising ethics, and demonstrate the value of proper journalism. 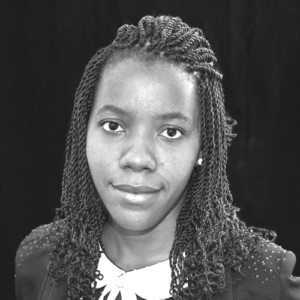 Natasha Ndlebe is an editorial assistant at Clarity Editorial.